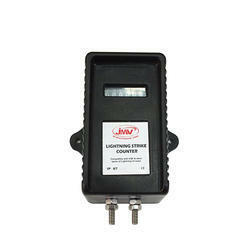 JMV Lightning Strike Recorder based on latest research and technology. It does not require any external power supply and easy to install. We manufacture Lightning Protection System that have been made keeping in mind the industrial needs. We adhere to all the norms set by the market in order to supply outstanding products. Our products are well tested before their dispersal and have all the basic qualities associated with it. We ensure well made products that have immense durability. The protection system has been labelled as the best as it has reached a higher pedestal of excellence. Stainless Steel central capture head of 3l6L. Other avoiding bolting and water infiltration that can cause premature corrosion. Control over release of ions positive or negative. Generation over release of ions positive or negative. Generation of streamer through Corona Effect. Area coverage in radius l07 mtr. (approx). System should not depend on electrical energy. The one peak current should have l09 kA l0/350 micro second. Complying standards NF C 17-1022011, EN 50164 and UNE 21.186. We are a renowned organization, which is engaged in offering Lightning Protection System to our clients. 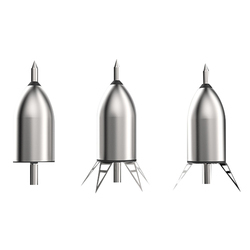 ESE Lightning Protection is a maintenance free and overall cost-effective solution. 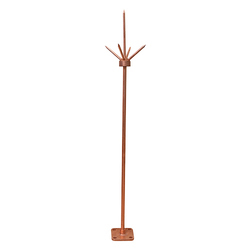 We are the leading manufacturer and supplier of a premium range of Lightning Arrestors. 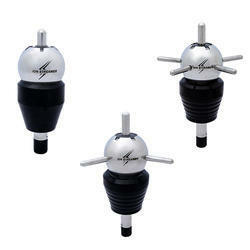 These are manufactured from state of the art technology and high grade raw material. Owing to the high manufacturing standards followed during the manufacturing procedure, our lightning arrestors are able to meet all the national and international quality standards.